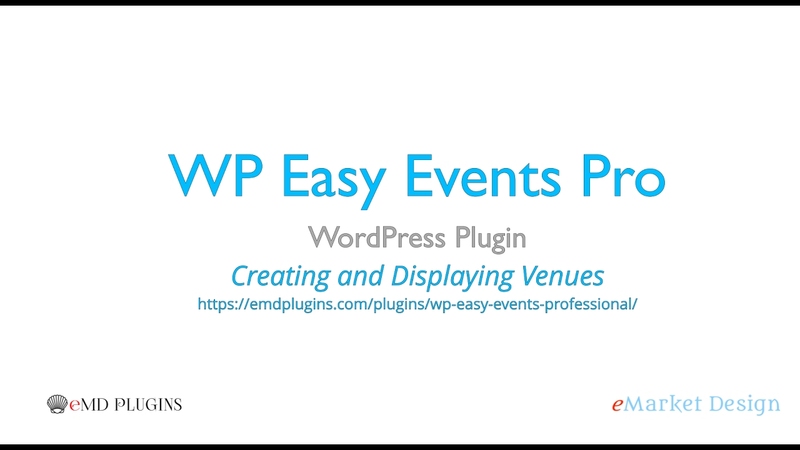 WP Easy Events allows you to share your venues with photos, maps and other unique info. Create unlimited number of responsive venue pages. Each venue has it own fully customizable page. Let users know what's on schedule by displaying upcoming venue events. Allow user to purchase or register(RSVP) to your events on venue pages. Venue grid displays all venues or venues of a specific location or tag(Pro Edition only). Powerful customizable venue image slider to display multiple photos(Pro Edition only). Customizable venue map with optional link to more detailed google map page(Pro Edition only). Optional venue rating system(Pro Edition only). Create custom fields for your venues(Pro Edition only). Easy to use with a lot of options. Very versatile. The best in class event management and registration is right here. Let's get it done! Sign up to get WP Easy Events news and updates.